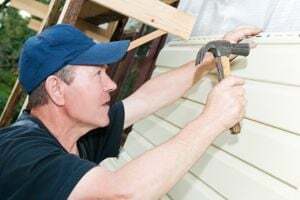 A-1 Roofing and Remodeling, Inc.
Repair needs: Missing, broken, or rusty flashing., Stucco is cracked. Comment: Retaining all covered by stucco has a Y shaped crack due to water drainage behind stucco. Also a 2x2 ft piece has broken off. Looking for repair to fix issue and blend with rest of wall. Owner will paint. Comment: My home was built in 1942. The back half has no siding, only a moisture barrier. the remainder of the house vinyl. I would like to have it replaced with a cement composite siding. Comment: I would like to replace rotten trim especially around the chimney on roof. Would like it to be vinyl trim so its finished for good if possible. Comment: 20 year old brick home with various trim areas now needing repair or replacement including fascia and window sills. Atlanta Siding Contractors are rated 4.73 out of 5 based on 4,381 reviews of 101 pros. Not Looking for Siding Contractors in Atlanta, GA?